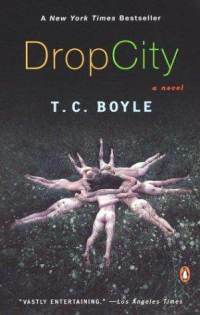 Drop City by T.C. Boyle – A novel about a fictionalized 1960’s utopian community that starts off somewhere in Sonoma county and ends up in backcountry Alaska. Ever since I read Hawthorne’s The Blithedale Romance, I’ve been meaning to read another commune novel. I’m still fascinated by communes and am on occasion somewhat disappointed that I never went that route in life. I know, my Synergy friends will probably be shocked by that, given how dismissive I was of 1960s utopian visions. But you know what? Peace and love and vegetarianism and kombucha and home-brewed beer and tie-dye and oneness with the universal spirit are not the real draw of the communal lifestyle; the draw is a lifestyle that involves a lot of day-to-day freedom and very little work. Of course, the ‘very little work’ part is what brought many communes down, and I think that Drop City does a good job of showing the conflicting impulses that are at work here. But Boyle sort of shies away from condemning the whole affair. It’s a very interesting book. It’s also one of the most ostentatiously well-written and dense books that I’ve read in awhile. Boyle is clearly very interested in the stuffness of life: he cares about how people do things and what they’re wearing and where they live and a hundred and one other tiny little details. If I’d written this book, it would’ve been only half as long. But in Boyle’s hands, I kind of enjoyed it. 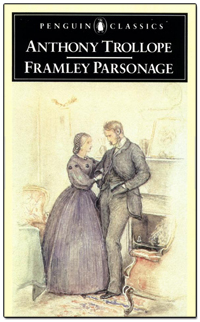 Framley Parsonage ­by Anthony Trollope – I’ve never read a Trollope book that was as good as The Warden (which has rapidly become, in hindsight, one of my favorite novels). But his other novels are at least good enough to keep me reading. All Trollope novels have, at their center, some really stupid love plot. In this case, it’s the fact that the mother of the local lord doesn’t want him to marry the parson’s sister. On a sidenote, this was the exact same plot as Doctor Thorne, except that the parson was a doctor and the sister was his adopted daughter. But at least in Doctor Thorne, the whole thing more sense because the lord’s family was penurious and needed him to marry into wealth. Here, the mother’s prejudice against the daughter is fairly blind. But if you can look past the stupid love plots, then, in my opinion, Trollope’s got everything that a person could want in a novel. All his characters are hilarious, well-drawn, and somewhat realistic. And, best of all, Trollope always shows you where the money is! For him, pretty much everything in the world is driven by money (and idiotic love). For instance, one clergyman is prideful and intensely resentful of the other clergy because his living is so tiny. Another clergyman has gotten all puffed-up and reckless because he’s come into a fairly rich living (800 pounds) at a very young age (26 or so). And there’s this member of Parliament who’s lived for thirty years by accumulating more and more and more debt. And there’s his sister, a well-connected politician’s wife, who schemes in order to try to get him. The best scene in the book is the one where the MP’s sister goes out and proposes marriage, on his behalf (because he’s such a chickenshit) to a wealthy heiress. I can’t actually recommend this book to you though, because it’s the fourth in the series. Seriously, though, guys…just go out and read The Warden. It’s like 70,000 words long and it contains everything that is good and right with the world. 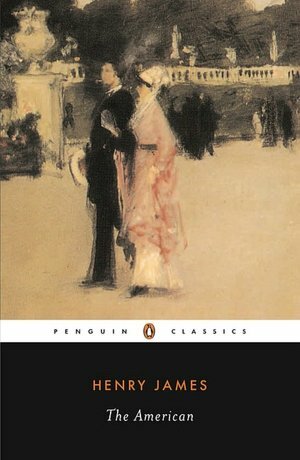 The American by Henry James – For the past two months, I’ve been making a stealthy sidewise assault on Henry James. On paper, he seems perfect for me. Like my other faves, Edith Wharton and Jane Austen and Anthony Trollope and Emile Zola, he writes novels that are intensely concerned with money and social position. However, his writing style is known for being a bit baroque and I know that my reading taste is heavily reliant on first impressions. If I have a bad first experience with an author, I often forgo them entirely. Thus, I had to be sneaky. I started with his most accessible novel, Washington Square, which was fantastic (it’s about a father who plays cruel psychological games on his somewhat plain daughter when a man tries to marry her). Then I dipped into the novellas, reading The Beast in the Jungle and The Aspern Paper. I was going to move on to Daisy Miller and Turn of the Screw, but I decided to make a bold advance back into novel territory. Nor am I unhappy that I did so. The American was excellent. It’s about an American industrialist who moves to France and tries to woo a Countess. The love object is a bit insipid, but I loved the industrialists’ bromantic friendship with the countess’ brother. And I thought that the industrialist was portrayed in a surprisingly sympathetic manner. He is kind of a rough-hewn Benjamin Franklin who wows French society with his strength and sense of purpose. It’s not what you expect to see. Normally, in novels, I expect industrialists (even when sympathetically portrayed) to be Huckleberry Finns: people who are reflexively allergic to the finer things in life. For instance, in Willa Cather’s A Lost Lady and Sinclair Lewis’ Dodsworth (which bears many similarities to The American), the industrialist figures are definitely crippled by their encounters with civilization.